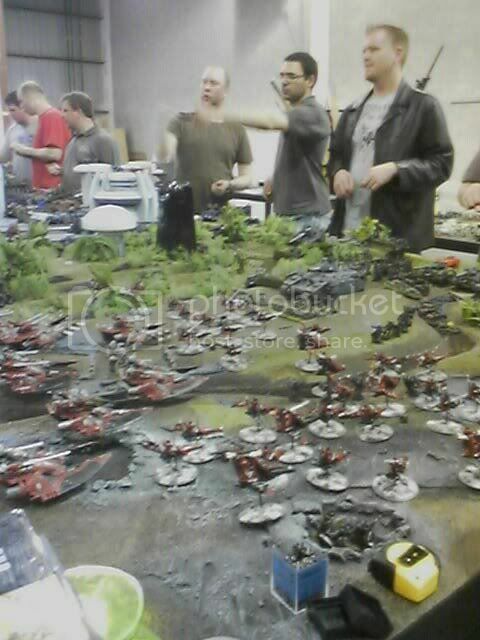 Lost In The Warp: 40k5 and Apocalypse!!! Hey everyone I just wanted to do a bit of a review and to report on an event that I had the privilege of attending. 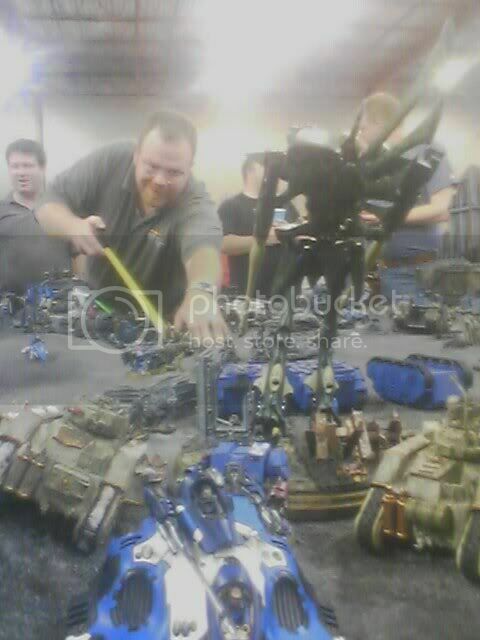 Once games day had all been set up and the Grey Knights had all finished their annual conference, Games Workshop did something really special for us. 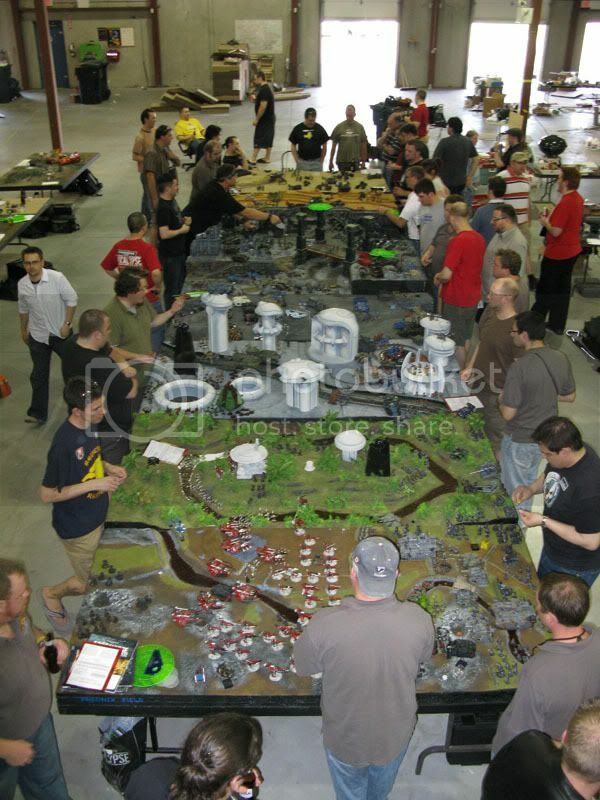 They allowed us to use their warehouse to have one of the largest games of Apocalypse I have ever seen or heard of!!!! 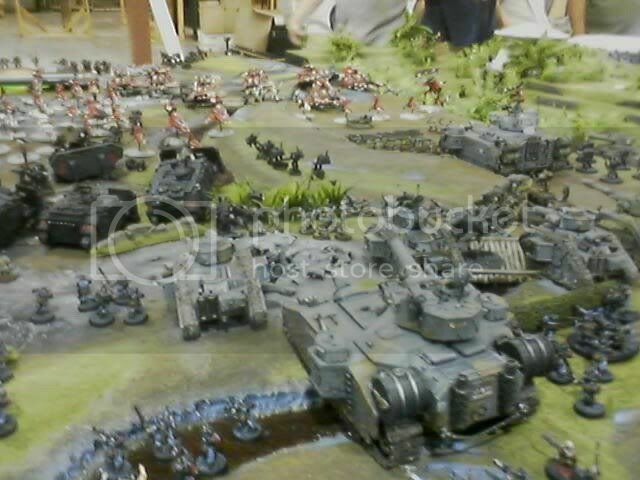 The armies of the grey knights took the field of battle along side forces comandeered by all the GW managers in attendance from across the nation. It was truly a battle of epic proportion as we battled across a 32 x 8 foot battlezone with tens of thousands of points on each side. 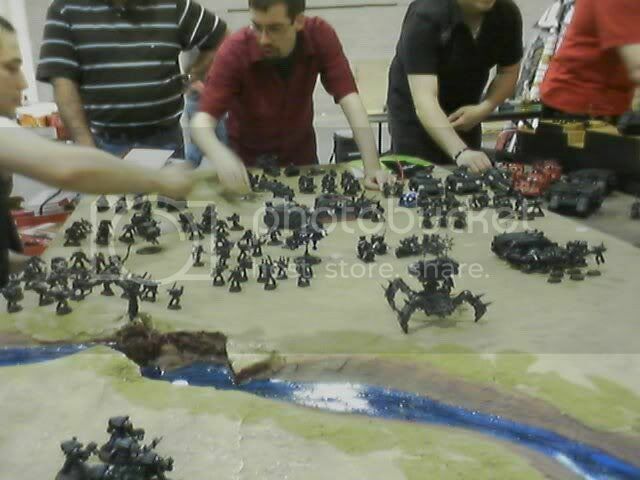 Whats more, we played using the new 40K rules to get a good feel for them weeks before they were released! I can say that Apoc meshes beautifully with the new rules system! 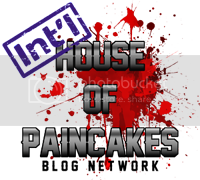 It was a real joy to play, made great sense and made for incredible carnage. The whole game flowed well and with the timed turns and great organization we actually finished the while game in a matter of a few hours - leaving us plenty of time to either part or sleep before the big day (Im old and pathetic so I went to bed conserving my energy for partying after GD was in the record books!). So here are some pics from the game with even more to be found in my events gallery. Special thanks to Mark McKellar for taking dome extra shots for me on his camera to supplement the ones I took on my phone. Also a huge thenks to GW for allowing us use of the facilities and to all those who helped to organize this whole thing. Cya next week where I will post a preview of my Chicago GD entry! Wish me Luck.